The only water in play on any of the Bandon courses. 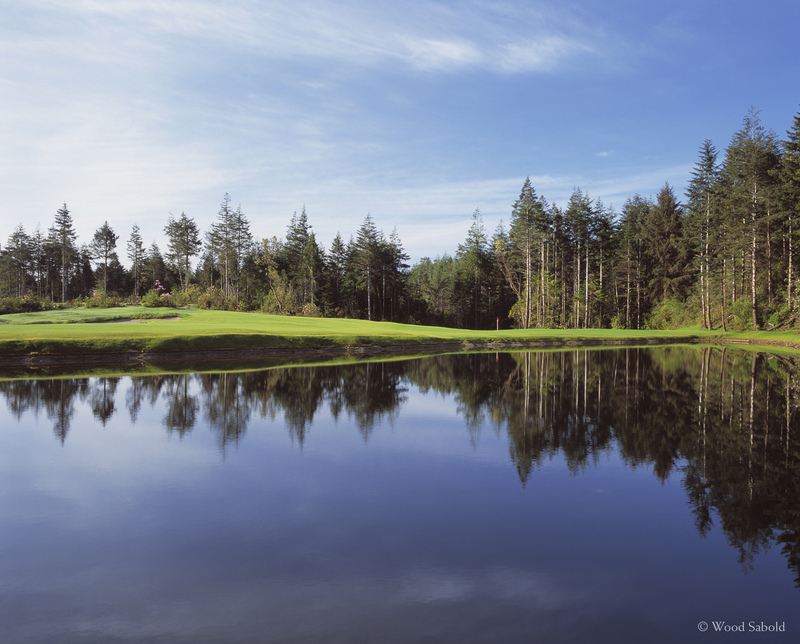 This view was taken from across the pond on the right side of the par 4, 11th hole of the Bandon Trails Course of the Bandon Dunes Golf Resort, Bandon, Oregon. This pond catches approach shots hit just a little too far right. There is another pond on this hole to the right of a bunker complex lining the right side of the fairway closer to the tee. Any slice on this hole will surely land in the these bunkers or worse, in the pond. Bandon Trails is the third course of the acclaimed Bandon Dunes Golf Resort. The course opened in 2005. Architect, Bill Coore and Ben Crenshaw.